What are some of your favorite makers of the AR15 and AR10 platforms? 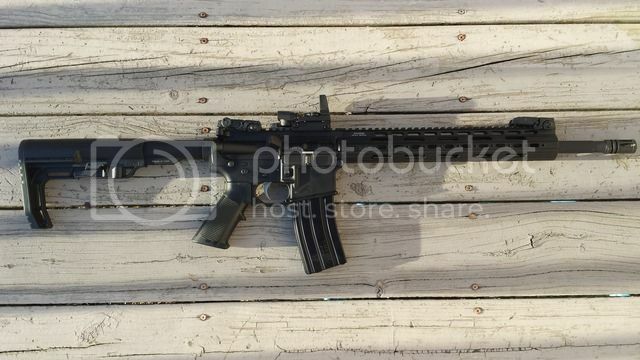 Noveske, Spikes tactical? would any of you say its justifiable to spend those prices rather than an Anderson or other lower priced products? Also, what are some of your favorite brands for after market parts and accessories? Double star is my choice in both AR platforms, I own one of their AR15, good quality rifles for under 1k. They are the AR of choice for the local PD here. If I was going to spend more than that on one I would go with a Spikes, Midwest Industries .or Tacitcal-edge brand. I have heard good and bad about Anderson,DPMS budget friendly models, but you'll hear that on all brands and models. For accessories like rails and grips I like magpul for the budget minded person and Midewst Industries for the higher end. Triggers I like Geissele and CMC but both are a bit pricey. I really like Seekins Precision handguards, Trijicon MRO red dots, and Hiperfire 24c triggers, and Magpul ACS-L Stocks. As far as brands of rifles to start with, it depends on what you want to do with the rifle. If it's to shoot 20 rounds per year and sit in a safe, most any of them will do. If it's to shoot a couple of thousand rounds per year, still lots of them will work fine, but you'll want to think about things like a chrome lined chamber/barrel/bolt parts, etc. Daniel Defense is hard to beat for durability, but if you want super fine accuracy, you might do something else. I have a 5 year old plus Bushmaster with several thousand rounds through it that still functions fine and accuracy is still good enough for for action rifle matches. Also, 9mm AR-15's are in style right now and there are lots of really good choices, but I think I'd personally only feel good recommending a Colt. Not to say others aren't good, but I've seen some pretty spotty stuff from other manufacturers. Unless you're wanting something very special, I don't think I'd recommend building your own rifle. The market is flooded with cheap parts and with cheap parts guns right now. If you want a cheap gun, buy a cheap gun and you'll still be able to sell it if you don't like it. Build a cheap parts gun and they're hard to sell right now. Of course, if you just wait until the next anti-gun president gets back into office, you'll be able to sell anything remotly resembling a black rifle. Good luck. Thank you guys! Apart from purchasing already assembled Stag, Colt and S&W rifles, ive never built my own or even added my own accessories. Its something id really like to learn so I am going to give it a try! Id really love to learn how to do my own 80% lowers. But I dont have the jig and I am getting mixed/confusing answers about the legality of using a friends jig. So im just not going to bother. I spent time in the military back with the introduction of the M16. Never really got into owning any of that platform until just a couple of years ago. To me, ARs are like trucks you can buy the basic truck and spend a fortune tricking it out. You will wind up with a very tricked out truck that is basically the same base unit you started with. Not going to tell you how may I have but two of them are what the gun guys give me a bad time with that I have entry level ARs. One is a DPMS in 5.56 and another that is 7.62. May both be entry level but can put rounds through the end of a 1# coffee can at 300 yds. Probably could do the same at a longer distance but 300 is all the further I have space to do. The 5.56 is accurate and both are reliable. I am not into driving nails at 1000 yds so these work fine for me. DPMS also makes stuff for the military. So, go ahead and bust my balls but I am very satisfied with mine. I just got in from the Louisville gunshow. Anderson upper and lower receiver combo is selling for $94.95.Of course they are stripped but that's quite a good price I would say!I saw a lot of AR's between $400-$500. I use Anderson lowers and have one Aero Precision lower. Then I use Daytona Tactical uppers, Remsport MFG barrels, and different brands lower/upper parts kits. I have yet to buy an off the shelf AR and I have more than just one in my possession. I built my first AR in 1987 from a Essential Arms lower and an E2 military upper with a civilian AR-15 bolt carrier group. It was a great shooter and I built two more almost just like it. I still have one of those after selling two of them. I recently built two from 80% Anderson lowers I finished and uppers also from Anderson. Both have Green Mountain barrels. One is a 16" 1:9 and the other is a 20" 1:7 for stabilizing 80gr bullets. I also use Anderson trigger groups that I work a bit for smoother actions. Building ARs are simple compared to most other types of forearms. Information, parts and tools are everywhere. Great satisfaction in building your own. Stag Arms is my choice for the AR type rifle, have had good service. The 24 inch bull barrel is extremely accurate and the 18 inch 3 gun upper is not too far behind. For my shooting style on those two uppers the two items that are most important to me is a quality scope and bipod. The ability to drill a quarter sized target at 100 yards is just amazing to me. Never owned a weapon that accurate before. I agree accuracy in a rifle is the top priority! ive heard you should spend atleast 1 month of pay checks on a decent scope, I have no problem saving up for a good one! Also, a great scope is useless with a crappy barrel!